but the thrill we've never known. 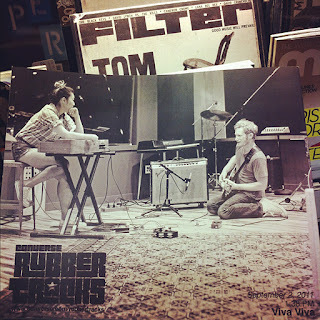 - Dr Hook - "Cover of The Rolling Stone"
That maybe true (for now), but yesterday we got a pretty good thrill, when we saw our picture - on the back cover of Filter Magazine! The torrid love affair between Viva Viva and Converse has been well documented on this site, and now it becomes kinda official, with a formal announcement to a national audience. Viva Viva was featured in the Converse Rubber Tracks Studio ad in Filter Magazine, November 2011, Issue 46, that hit newsstands yesterday. Not only is there this great picture on the back cover, but inside you'll find a two page spread, with an interview! This affair all started, back in March, in Austin, TX, at the Weekly Dig/Converse party at SXSW. Converse presents us with the Golden Record to record at their Rubber Tracks studio in Brooklyn. We go down there and bang out four songs in two days. They shoot a few flics, and then here we are in Filter Magazine! So go out and find a copy of Filter at your local Newbury Comics. Check out the interview. Then come out tonite and see us at Radio, in Union Sq, Somerville, with Amoroso and Bodega Sluts. We want to share the excitement with YOU!, so get there early because we'll have some goodies to give away! For our NYC people, same deal, we will be in Brooklyn tomorrow nite, at King Killer Studios with the Scrapers! That show is sure to be a banger, with open bar sponsored by Sailor Jerry, and custom hot rods on show from the Rumblers Hot Rod Club, and we'll have some goodies for you as well. Here again, for your viewing pleasure, is the video that Fort Point Recordings shot, documenting our visit to Converse Rubber Tracks, back in September. 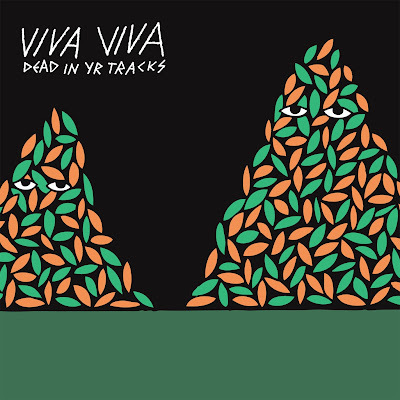 Viva Viva at Converse Rubber Tracks from FORT POINT RECORDINGS on Vimeo.